Now here's a way to boost youth employment: Help them start up. At the Young Entrepreneurs Academy, or YEA, middle and high school students in certain parts of the country can participate in a nine-month-long afterschool program that attempts to guide them through the process of starting a business -- from developing a business plan and pitching investors to obtaining funding and building a website. "Our mission is to teach students across the country how to make a job, not just take a job," says Allison Osborn, director of student and community engagement at the Rochester, N.Y.-based charitable organization. "We believe that helping young people learn to identify and cultivate their passions and skills and then instilling them with the confidence that they can do these big things they dream about is the key to the future of our country." It would seem others agree. Not only did the U.S. Chamber of Commerce become a national sponsor and partner of the program last year, YEA is being adopted by communities nationwide. At present, there are 47 chapters in 17 states across the country. The organization also recently teamed up with ABC’s Shark Tank as it looks for younger entrepreneurs to appear on the show. Several YEA graduates have already been interviewed by the show’s producers, says Osborn. "This growing segment of impressive young minds is carving out a successful niche in the marketplace and we want to speak to them," says Shark Tank producer David Polanzak. He adds that an upcoming episode will feature young treps (11- to 19-year-olds) alongside entrepreneurs of all ages. "People are telling us that this is what they’ve been looking for and what our country needs," says Osborn. Since its inception in 2004, YEA has graduated 870 young entrepreneurs from the intensive start-up program and launched 552 businesses. And, according to the organization's own stats, 80 percent of companies last for more than a year after students graduate from the program. Further, some companies like the Rochester, N.Y.-based Scent-sations have lasted for much longer. Kerry Huang, now 18, was in eighth grade when she noticed that the scent of her perfume would diminish throughout the day. But she didn’t want to carry the bulky bottle around everywhere she went. So, the 13-year-old did what any savvy future entrepreneur would do: She launched a business to solve her problem. She reached out to YEA, and in about one year's time she had a working prototype of a wearable, refillable perfume pendant that would eventually come in a variety of styles. A couple months later she had her first customer, a small local boutique. Five years later, Huang’s necklaces are now manufactured overseas and sold at retailers across Rochester. "The program taught me critical skills and opened up [a] myriad [of] networks that are key to my future," Huang says. "I look back on my experience in the Young Entrepreneurs Academy with pride and accomplishment, and now know that I can do whatever I set my mind to." To learn more about the YEA program and to possibly help usher it into your community, check out YEAUSA.org. 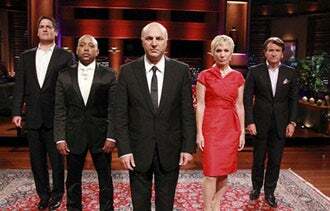 To apply to be on Shark Tank, send an email to Polanzak (dpo.casting@gmail.com) no later than the first week of August. Include your name, age, contact information and a brief description of product or service.